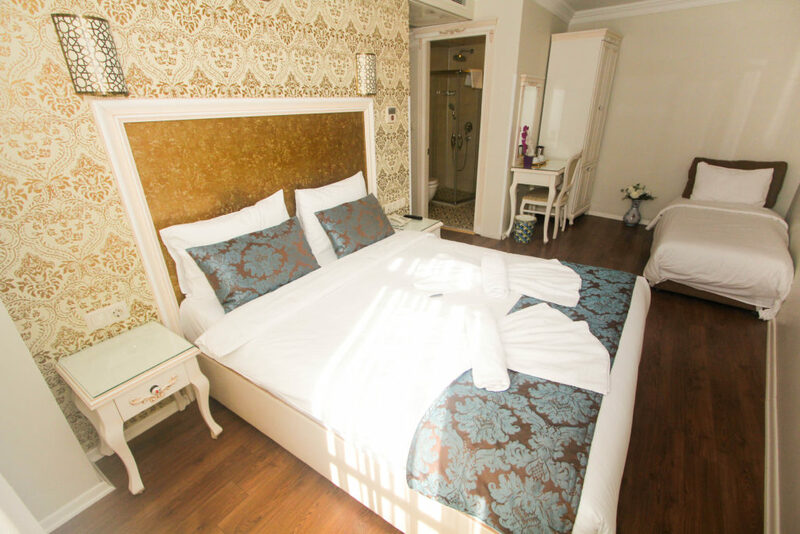 It is 25m2 Room with one Double bed (150x200cm) and one Single Comfortable Sofa bed. (90x200cm) capacity of 3 person. 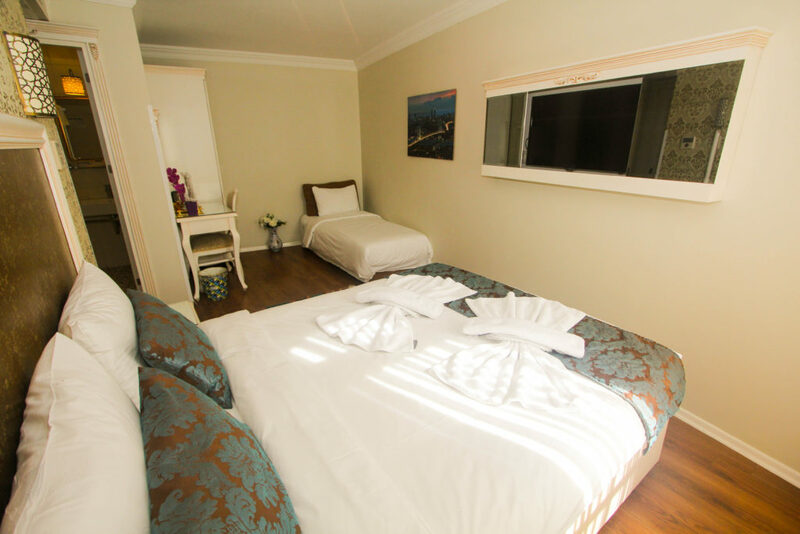 Our rooms offer the elegance, class and comfort you have been looking for your whole life. 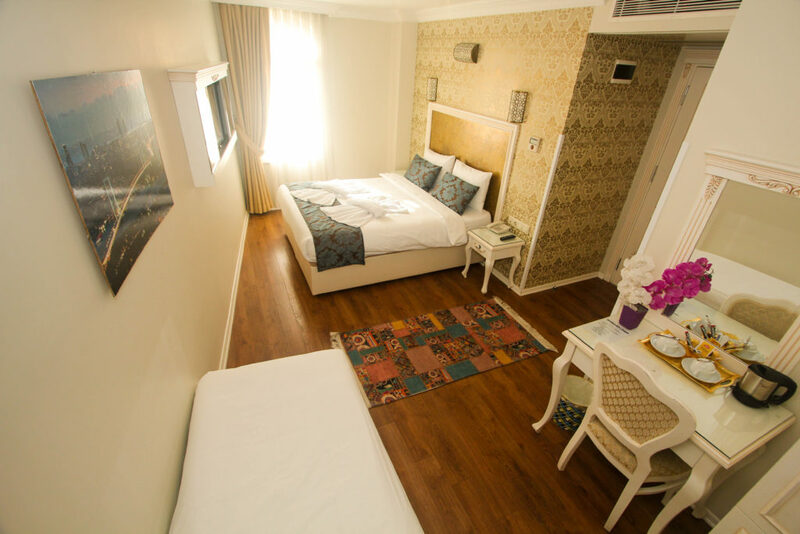 All rooms provide a private bathroom, air-condition, high-speed and wireless internet connection, hair-dryer, direct dial telephone system, LED TV satellite system with international channels, mini-bar, safe box, emergency alarm system, make-up mirror, hot-water machine, tea and coffee making facilities.